They’re saying that Robin Williams was known for being funny – a comic – and I suppose that’s true. But I will remember him most for his role in the film What Dreams May Come, which was powerful, intense, beautiful, and not even remotely amusing. In fact, the irony of it makes me sad tonight. It is the story of a man whose wife commits suicide, and when he reaches his Heaven he cannot find her there. She is in Hell because she took her life. Unable to accept this, he sets out to find her among the lost and bring her back. I won’t spoil the outcome for you. I pray that someday humans will evolve to become beings with the power – born of willingness and compassion – to redeem the suffering among us, while life still holds that hope. This entry was posted in death by Kyle Kimberlin. Bookmark the permalink. Thanks for reminding us that many of the best comedians are able to make us laugh because they are themselves so attuned to all that breaks our hearts. 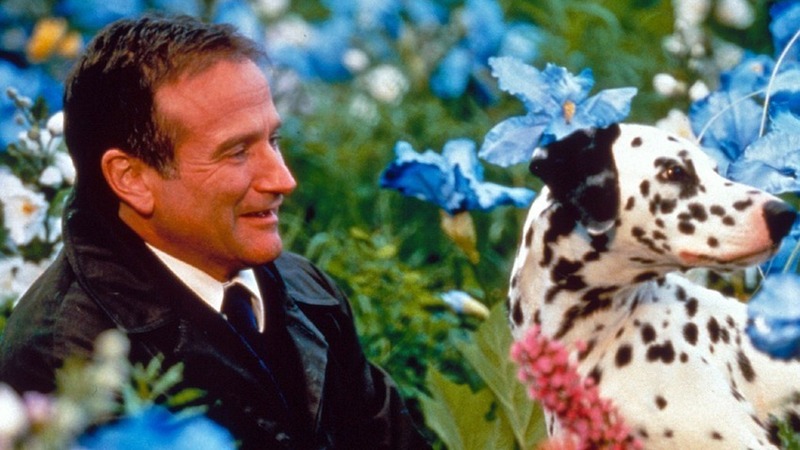 Robin Williams was one of the best – he will be sorely missed.